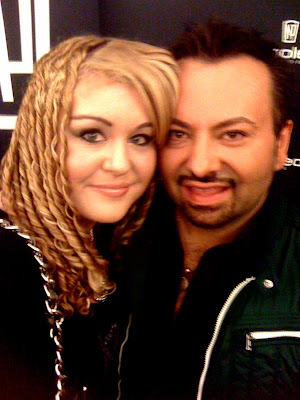 On May 10th, 2010 I had the honour of meeting Aussie Cosmetic King NAPOLEON PERDIS! In January I had purchased a Diamond ticket ($250) to attend the Napoleon Perdis Master Class on the Gold Coast, Australia. The date of the Master Class was rescheduled to May. To apologise for the date change Napoleon sent all Diamond members a hand written card and complimentary Prismatic Eye Quad! It was so cute and the letter was signed by Napoleon using a gorgeous pink lipstick, of course! The Master Class was such an amazing evening. It was a night filled with music, dancing, makeup tutorials, brand new makeup trends and lots of inspiration words from Napoleon Perdis. 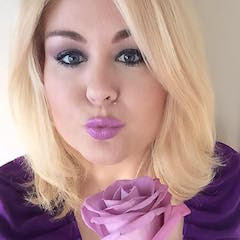 There were 6 Makeup Trends and Napoleon introduced each trend describing what influenced the trend, following by a short video of different makeup looks from the trend then a details on stage makeup tutorial. Napoleon shared his makeup tips and tricks and explained how to create the look using Napoleon Perdis & NP Set products. After the 6th makeup trend the show finished with dancing and everyone standing and clapping along to Michael Jackson's "They Don't Care About Us". I was so inspired by the new Makeup trends! Napoleon Perdis told us that Turquoise is the official Makeup Colour for 2010, inspired by Avatar. 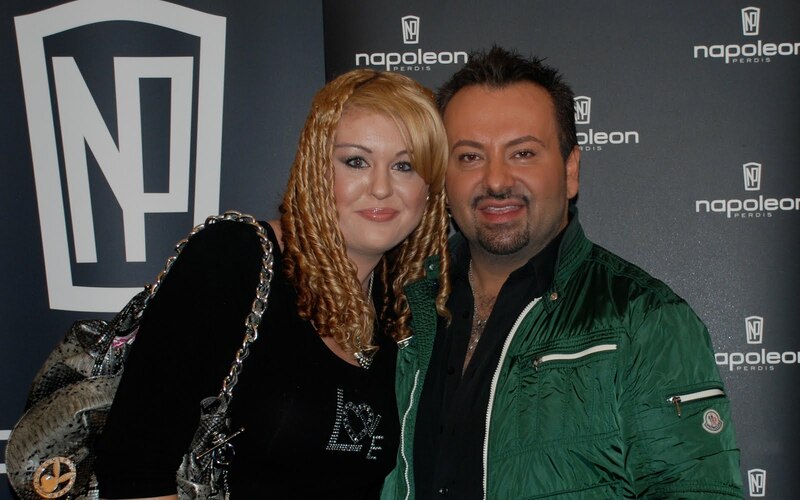 After the amazing Master Class, diamond ticket holders got the opportunity to meet and greet Napoleon Perdis. Champagne was served and the room was filled with stunning women all dressed up with gorgeous makeup and eager to meet the Makeup Man who had just inspired us all. Walking into the room, Napoleon greeted each of us with a Greek air kiss on both cheeks. And from that moment on I was so star struck! After about 15 minutes I then got my chance to meet Napoleon Perdis, a man who has been such an inspiration to me over the last 8 years when I discovered his amazing products in 2002. I told him how amazing and inspiration he was and how I adored his Golden Beige loose eye dust and Baby Lips lipgloss. Overall this experience was truly one of the highlights of my Makeup Career and one that I will never forget. I am now re-energised, inspired and have caught the Napoleon Perdis dream!